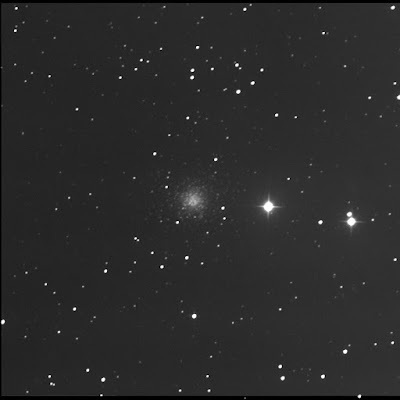 The Burke-Gaffney Observatory robot imaged Intergalactic Wanderer aka NGC 2419, a globular cluster in Lynx. It is also a member of the Caldwell catalogue: number 25. Nearby stars; distant stars. A fascinating contrast. 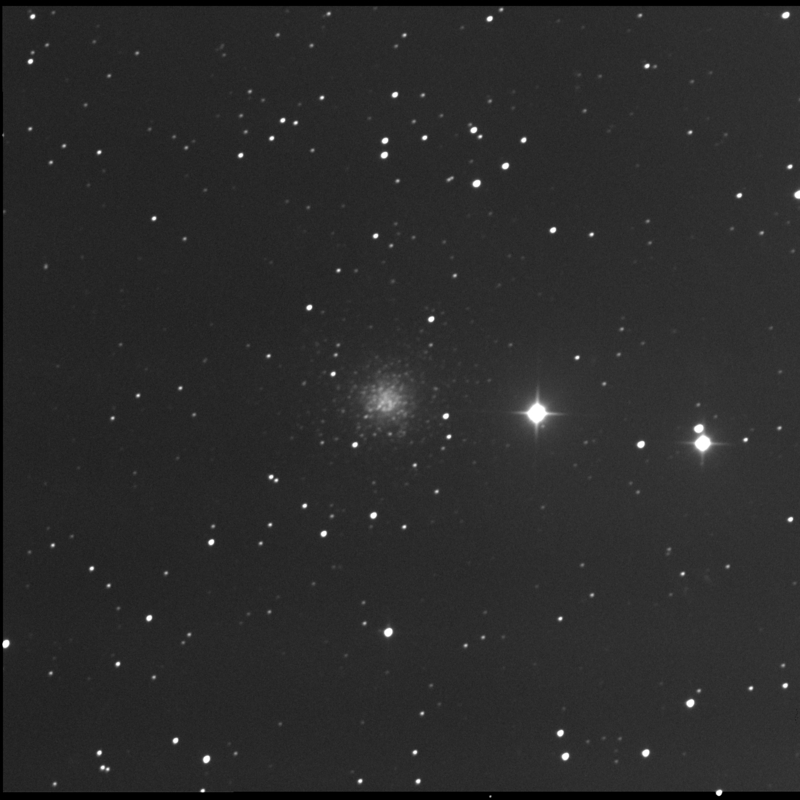 The bright stars to the far west are part of a double star system. HD 60694. The C star is dimmer by 2 or 3 magnitudes and almost due north of A. D is fainter still and due east of A. It is about 5 times the AC split. The B element is extremely tight to A according to SkyTools at ½ an arc-second.